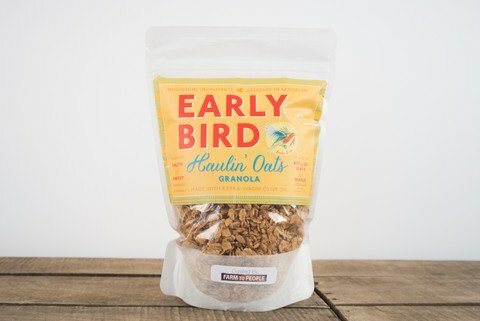 Singers Daryl Hall and John Oates are suing Brooklyn-based Early Bird Foods & Co, claiming its granola Haulin’ Oats infringes their trademark. The case accuses the cereal company of breaking the law with its “phonetic play on Daryl Hall and John Oates’ well-known brand name”. Lawyers for the singers filed the case in Brooklyn federal court. Daryl Hall and John Oates claim Early Bird is attempting “to trade off of the fame and notoriety associated with the artist’s and plaintiff’s well-known marks”. Haulin’ Oats is a nut-free cereal made from maple syrup and oats, described by its makers as a “back-to-basics flavor… perfect by itself or as the base for a breakfast parfait creation”. The case notes that various parties have attempted over the years “to make a connection between the artists’ names and oats-related products”. Whole Oats is the name of the singers’ corporate company and their first album. Their hits include Maneater, Rich Girl, Private Eyes, I Can’t Go for That (No Can Do), Sara Smile and She’s Gone. Earlier this week, they postponed a concert at the Warner Theatre in Washington DC “due to Daryl Hall having laryngitis caused by a severe cold and flu”, according to a statement on their official website.